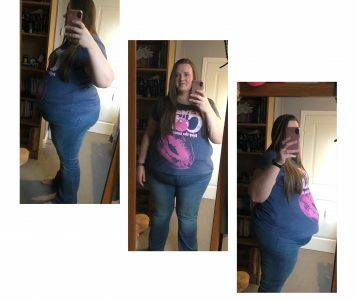 First weigh in….. – Half the girl I used to be – my 200lb weight loss journey! 13.5lb gone forever!😱👍 Wow, I felt so good stepping off those scales. The most I have ever lost in a week during previous diets is 7lb so that’s the kind of number I was expecting today, but to see 13.5 was amazing. It’s certainly given me a confidence boost and will definitely spur me on for this week. Only half a pound till 1 stone gone. 35 pounds to go to hit my first goal of being 250lb for my holiday in May – it suddenly feels achievable. Pingback: Reward System – Let's Try This Again, Shall We?